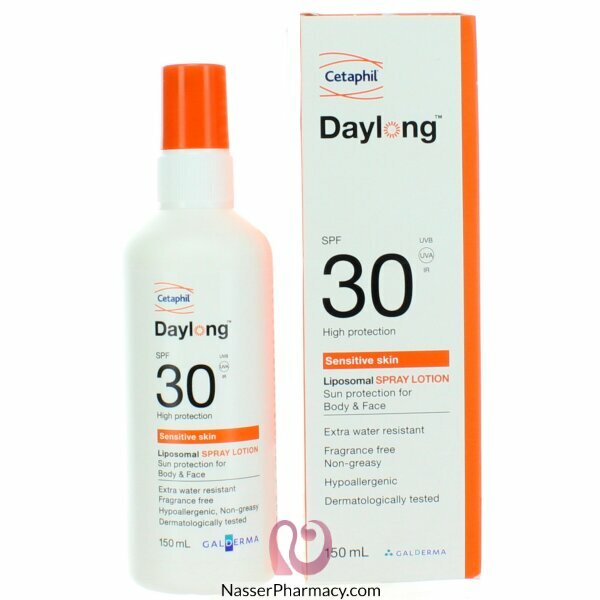 Daylong ultra SPF 30 lotion-Spray for sensitive skin is especially developed for sun allergic or oily skin. The effectiveness and skin tolerability have been proven with a clinical user study. The light, oil-free gel-spray is easily distributable. It is fast absorbing and leaves a pleasant, mattified skin feeling. The gel nutures the skin additionally with vitamin E. Daylong ultra lotion-Spray is ideal for bodyparts that are difficult to reach or hairy areas, as well as for men of for sports.